Nukon are your digital transformation consultancy and delivery specialists. We specialise in delivering digital transformation for companies that want to be future ready - whatever it holds. Our independent, custom-designed solutions combine strategy, analysis and technology to give visibility into key business processes, so they can be optimised. Our consulting and agile implementations enable a collaborative and iterative way to implement solutions that are fit-for-purpose, reliable, cost-effective and have an instant impact on business output. We have years of experience working for the utilities, food and beverage, Fast Moving Consumer Goods (FMCG) and supply chain. We deliver fully integrated business optimisation solutions: from supply chain to operations, the shop floor, IT, engineering and enterprise systems. We deliver end-to end digital transformation through three key areas: strategy and consulting, solution delivery and support. Strategy and consulting – Your success is our success. Our consultative approach means we spend more time upfront understanding your business and current state so we can develop a clear roadmap and delivery plan that will have strong uptake and success. Agile project delivery - Agile project delivery ensures that project milestones are met, and the end result is championed your people. Regular iterations and feedback means the final product is optimised for your business’s exact needs. 24/7 support desk – You aren’t on your own. We provide 24/7 support during, and after project completion to guarantee continued supportability for you and your operational staff. We are independent - Not every technology is right for every situation. We are technology independent and work with a range of open source and proprietary software, hardware, programming languages and database technology to find the best solution based on your unique context. For more about our work, browse our case studies or learn from some of our people at our blog. 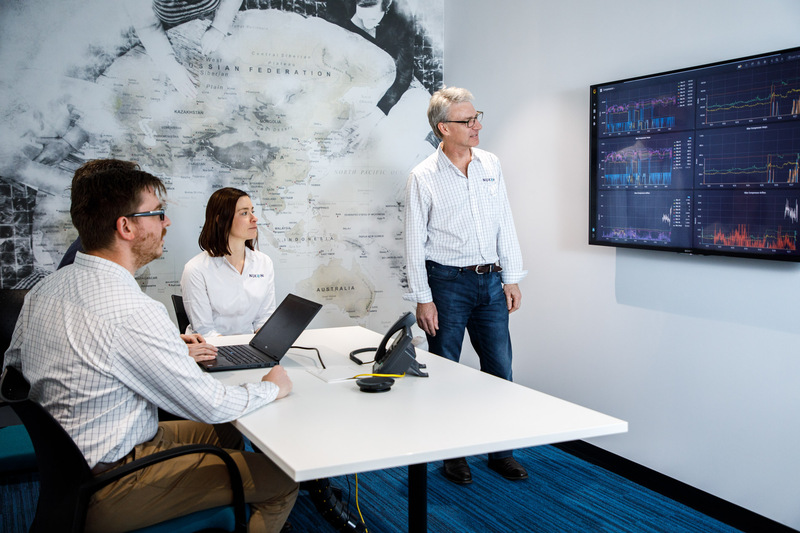 Melbourne airport’s operational technologies (OT) and information technologies (IT) systems were integrated, such as baggage handling, aircraft real-time position and customer check-in, to provide a representation of all operations in real-time. Nukon developed a system to support a food and beverage processing plant on a 'pull model', where raw materials are managed for maximum efficiency, driven by actual store order demand. TasWater achieved an industry-first analytics solution that leverages live and historical data to detect blockages in their infancy, thereby preventing potential spill events for utilities. Contact us today to learn more or schedule a meeting, We'd love to hear from you.